Thankfully, jury trials in legitimate self-defense cases don't happen very often. Unfortunately, we just had one of those cases here in America's heartland with the Illinois murder trial of James Love. The entire affair offers a number of opportunities to learn some very valuable lessons. 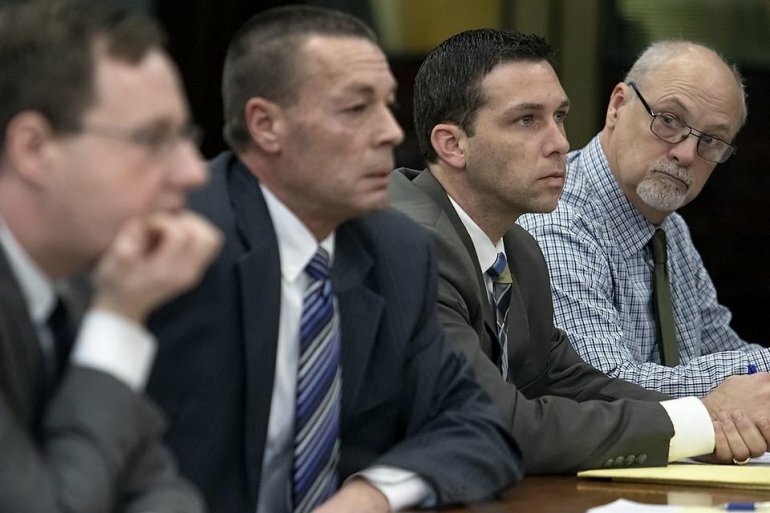 The local prosecutor, Knox County Assistant State's Attorney Brian Kerr, had his own agenda in bringing charges in the case. The deceased man's family had political connections in the community and ASA Kerr had ambitions of running for the top job after his boss retired at the end of this term. What better way to curry political favor and burnish a resume than to win a high-profile murder case, right? Of course, the media did their part too. Both the mainstream media and the victim's family did their best to put a sensational George Zimmerman/Trayvon Martin spin on things. 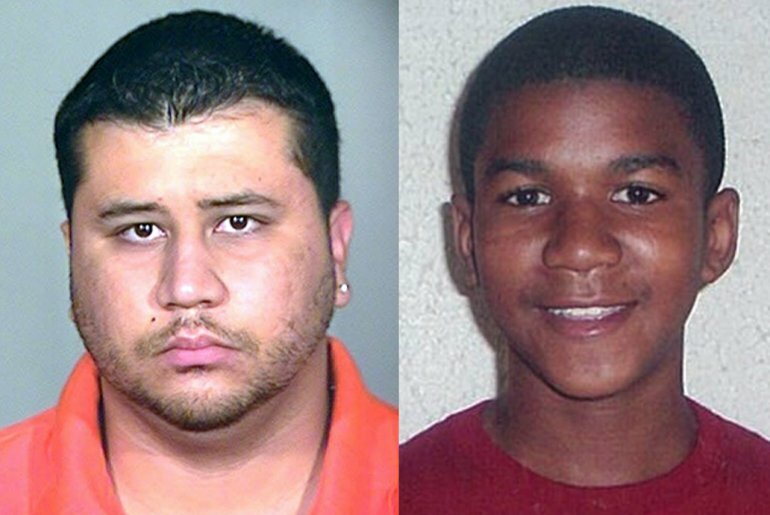 The local papers ran opposing photos of the two, just like in the Trayvon Martin case. A youthful photo of the deceased next to the jailhouse mugshot of the shooter. The only thing missing was the claim that love was a "white Hispanic". On the other hand, James Love, 59, lived and worked his family farm in rural Galva. Well-respected in the community, he had built a solid reputation among those who know him. Now he will have to deal with the Mark of Cain for the rest of his life. People in the community will forever associate him with the death of an unarmed 19-year-old "boy". Love's spidey senses told him to use caution, so he exited the backdoor of the home, making sure not to silhouette himself. He then approached through the farm field instead of walking down the rural county road. Remember those old American Express commercials advising, "Don't leave home without it?" The same goes for your concealed carry pistol. 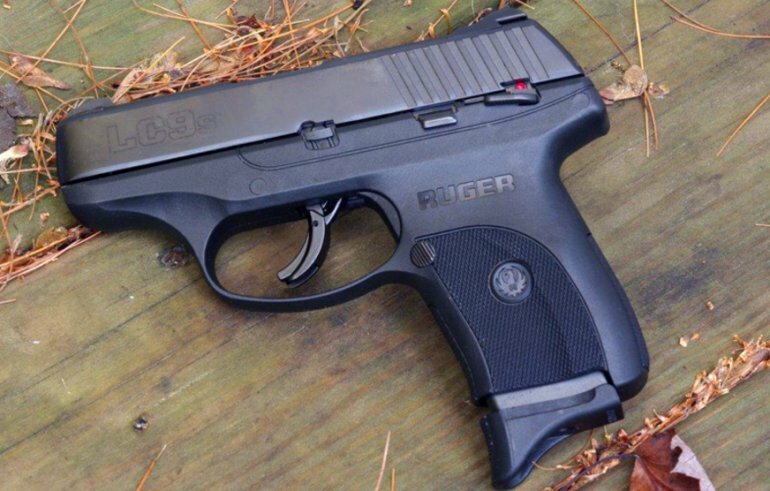 James Love took his Ruger LC9s with him that fateful night. That decision probably saved his life. 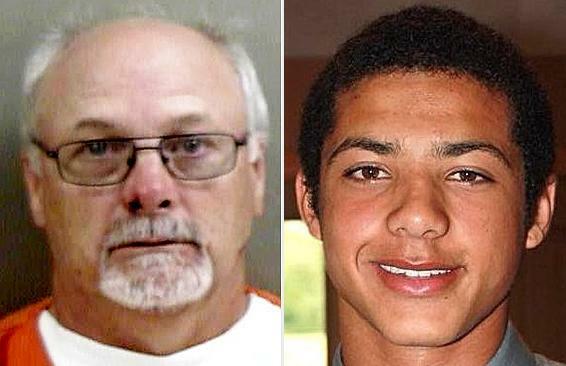 The 59-year-old farmer was no match for an angry, drunk, 19-year-old body-builder who was fearful of a police response. James Love had no formal firearms training. He didn't even have a concealed carry license. I had a chuckle. Who was it who said that it&rsquo;s better to remain silent and be thought a fool than to open one&rsquo;s mouth and remove all doubt? Oh yeah, Mark Twain. Good training can be found at very affordable prices – like less than a few hundred bucks. Yes, if you want to take Mas Ayoob's class, you will pay a premium. But if you know what to look for, you can usually find local quality classes for less than an emergency room visit co-pay. Don't rely on luck to triumph in a deadly force encounter…or in the aftermath. We have covered this, as have countless nationally-known trainers. Yet some people who either don't know better or who don't trust their own gun-handling skills persist in carrying with an empty chamber (AKA "Israeli carry"). Some, including myself, have speculated that those warning shots emboldened young Mr. Hartman. Why? Because the aggressor thought the farmer didn't have the stones to actually shoot another person. So Hartman pursued his attack, figuring he could wrest control of the gun from the old man with little fear of being shot. We all know that we retain responsibility for every bullet that leaves the barrel of our gun. In Love's case, one of his arguments for conviction centered around the ricochet from the first warning shot. It hit Hartman in the lower leg behind the mid-line. In the anti-gun prosecutor's eyes, Love shot the "unarmed black boy" as he ran away from a trigger-happy old white guy. ASA Kerr ignored that the round could have entered from the backside of the calf during a highly dynamic struggle. But a story claiming that "he shot young black boy from behind as he ran away" sells more newspapers. ASA Brian Kerr made a big production of Love's choice in ammunition used in his Ruger LC9s. Love had two magazines, each loaded with seven hollow-point rounds. The prosecutor claimed that the fact Love that left his house with hollow-points showed ill intent. Even an inclination to kill. "He left that house looking for trouble carrying those hollow-points." Never mind that hollow-points have a reduced ricochet potential, making them safer for bystanders. They also have far less likelihood of over-penetration, endangering bystanders. In fact, as they dump their energy into their target instead of zipping on through, it's arguable that they're safer for the bad guy, too. Fewer holes for the docs to repair and all that. Xavier Hartman and his friend had started walking towards Love's house after the accident as it was the only residence nearby. If Hartman had successfully disarmed Love (and maybe even murdered him with his own gun), would he have left any witnesses inside the residence? While I don't know if Mrs. Love had some sort of ballistic deterrent at hand that fateful night, she should have. Her husband required hospital treatment for his injuries, including a lot of stitches. Love admits worrying that he would soon lose consciousness during the attack. And a loss of consciousness would have meant loss of control of his firearm. That would have meant his attacker would have had his gun. In 2018, almost ten percent of police officers killed by gunfire (4 of 52), died from shots from their own guns after they'd been disarmed. And cops get training in firearms handling, empty-hand combat, and weapon retention. "Don't talk to police" stands as good advice if you cannot remember what to say following a deadly force incident. James Love answered questions from responding and investigating officers before invoking his right to legal counsel. Of course, ASA Kerr poured over the notes of those officers and tried to make hay of even the slightest discrepancies. Because, in Kerr's mind, inconsistencies equaled guilt a conviction. The lesson: never talk to the police after a self-defense shooting beyond, "I was afraid for my life, I think I need medical help, I want to talk to my attorney." Even if you don't have a concealed carry license, you should sign up for legal defense coverage. Some people refer to this as "concealed carry insurance." Mention my name or Guns Save Life/GSL and save $25 off your first year's membership. Fair disclosure: I am not paid by ACLDN, nor do I receive kickbacks or commissions when people mention my name upon enrollment. After looking over the various companies, I personally recommend them because I see them as the best value out there for what they offer. Your mileage may vary, of course. US Law Shield offers coverage similar to ACLDN, at a similar price, only you have to use US Law Shield's attorneys. Got teenage kids in school? US Law Shield has a rider for a couple of bucks a month where their attorneys will represent your minor children if they use force or weapons in self-defense outside the home. Mention Guns Save Life and they will waive the processing fee as I understand it. For those seeking comprehensive coverage to include things like lost wages, bail bonds, and much, much more, the US Concealed Carry Association stands as a very good choice. Their premium coverage comes at a higher cost though. SIgn up through group sales if you're a Guns Save Life member and save 15% off your dues. If you're not a GSL member, sign up through the group sales and mention us and we'll get a few bucks. Hopefully you will never need to use deadly force to save your life or that of a family member. No one wants that. At the same time, sometimes life deals you a bad hand and you're left with no other option. However, sound tactics will help you survive the encounter. Just as important, knowing and acting to the legal standard to which you will be judged will help court-proof you as much as possible for the aftermath. You may not need it. But sometimes you get a prosecutor with political ambitions and you don't want to become his or her pawn. This entry was posted on February 11, 2019 at 3:25 pm and is filed under GunNews. You can follow any responses to this entry through the RSS 2.0 feed. I read this article with some disgust- I appreciate anyone who sticks up for the second amendment- but,, . One thing that Illinois residents seem to keep loosing track of; conceal carry permit is another direct stab at our gun ownership rights- Someone who has owned firearms for 50 years needs a conceal carry permit to be an expert in firearm use/ownership – GIVE ME A BREAK!!! – Jim Love shot on a shooting team in middle school with Boy Scouts, I am sure he understood gun safety- Fat cat JB Pritzker wants to re- register guns- non sense- soon IL gun owners will side with that –Money making hoopes- CCP, conceal carry insurance, get some training ??????? Lets talk Alaska, Arizona, Missouri, CCL- O wait doesn't exists! !- not needed. That facts of this case are- 12 jury people said it was a justified use of force….period! No one will ever be able to defend themselves out of the perfect magic book of perfection for the state of IL. –If your a law abiding citizen in IL,- hint -(they don't like you) the criminals running the state hate that about you. That is the sad sad truth. I understand your passion for constitutional carry and agree. What Boy Scout troop did " Jim Love shot on a shooting team in middle school with Boy Scouts, I am sure he understood gun safety"
There is a great deal of difference between understanding and practicing gun safety on a range and being knowledgeable about serious social encounters. The very fact that Mr. Love made all the mistakes that John pointed out are proof of that. A great article for gun owners to heed, Mr. Boch. Don't leave home without it. Tom Givens, instructor and retired LEO of the Rangemaster Firearms Training Services, has taught hundreds if not thousands of gun owners over his career. A survey he ran of his former students found that 60 were involved is self-defense incidents where a gun was used to successfully end a criminal attack upon them. Out of those hundreds of students 3 were found to have died as the result of a criminal attack upon the gun owner. The reason? All three had left their gun home the day they were attacked and killed by their attacker. Get training. My understanding is that out of all the gun owners who obtain their CCL only 1% get additional training of any kind. Amazing how stupid some are about the situation they place themselves in as a gun owner today. Many don't understand the laws on self-defense, they under-estimate the negativity surrounding the use of force by citizens by other citizens and the legal community. In other words they don't understand the legal jeopardy they are in as gun owners today. 50 years ago it was different. I can remember shooting .22's on the streets of our Peoria neighborhood for fun where your neighbors didn't even give a crap, say anything to you objecting or even call police. People had rifle racks on the interior back window of their trucks back then. Back then the 2d was taken for granted and respect for gun rights by the people as common Mr. Softee turning the corner on your block. Hollow points and Massad Ayoob. Amazing that prosecutors still use that argument against self-defenders. If you use ball ammo you risk "pass through" and hitting an innocent bystander. I believe Massad Ayoob used that against one prosecutor in a prosecution case where Ayoob told the court that LEO's in the court most likely were carrying hollow points and explained why neutralizing the prosecutions' argument. There's a great article on Gun Digest website titled "Massad Ayoob: The Dangers of Over-Penetrating Bullets" that details why hollow points are used and effective. I'd bet the Love prosecutor knew these things about HP bullets but attempted to indict Love firmly anyway for using them. Anyone who desires training as a gun owner and concealed carrier has many resources to make themselves much more a responsible gun owner. Some gun owners do stupid things with their weapons. You see it all over in stories and videos that only give the Ant-2A crowd ammo for restricting our 2A rights. In Peoria, you can get defensive firearms training from former military personnel at Good Shepherd Defense and Training. On the internet you can get superb self-defense legal training by a self-defense attorney to brighten you up on the legal boundaries that surround a use of force at The Law of Self Defense from attorney Andrew Branca and at prices much cheaper than what attorney’s charge per hour. You think you’ll just put your hand on your weapon indicating you’re armed and that’ll scare off your attacker? It might. But when LE comes knocking on your door or pull you over asking questions about it don’t be surprised when you are charged with Aggravated Assault or Brandishing. I said "game on" when you all climbed up my azz when I missed that little hook on the end of the "p" that made it an "a" and you called me "mental midget." So, here's a little proofreading for the chief circle-jerker who doesn't even bother to proofread his own crap before he publishes it. Did ASA Kerr "pour" over anything? Or did he "pore" over something? If you're going to criticize me for missing an "a.m." in an obscure blurb, then you should better direct your scorn inward, gentlemen (and I use that term loosely!). At least I understand the God-given English language well enough not to use "pour" when I really mean "pore." Now where's Uncle Johnnie with the "ban-hammer?" So, call me "mental midget" again, but I caught that on the first reading. Oh, and only those of you with MULTIPLE doctorates are allowed to criticize MY INTELLECT. Hey poor wittow bitty Kenny-boy, you mental-midgetness is showing again in your latest "rant" so pour over this: you seem to be easily provoked, anybody with any intellect can criticise you dim-wit, DUHH, now you set the "standards" for who can criticise your idioccy? HaHaHa!! Deal with it kenny-boy, curl up in a fetal position and cry until your mommy comes to wipe your tears. BTW, there were 4 references to the time of night the young female officer was shot, …"EARLY Thursday morning…." was the FIRST, NOT "early Thursday afternoon", Sooooo am/pm just reinforced that it was in the AM, so take that little "hook" from the "a" and go fishing, a$$ho. Are you the TV Japanese Dr. HO, kenny-boy? If you were smart enough to direct your razor-sharp scrutiny inward you would see that there was, what, one reference in the blurb quoted by His Highness in his article. And that's where my "an a is just a p minus the little hook on the end" came from. I didn't read the original article cuz I don't give a crap. So you're criticizing me for failing to see references in an article that I didn't read. Who's the azzhat? Pore over that you halfwit! I am the "halfwit" because YOU are the one who trolls this site and makes idiotic comments? YOU can't tell the differance between an "am and a pm" because YOU missed the "little hook" on an "a" that "makes it a p", hahahaha. Hey, mental-midget Dr. kenny-boy Ho, why don't you go troll some other site like DummyCrat Underground, they will really like you there, you don't like this site anyway, MORON. I'm a REAGAN CONSERVATIVE, you halfwit! My FAMILY FOUNDED THIS NATION. Where'd you come from, Johnny-come-lately? Oh, and I'm a doctor. So call me a mental midget again, MAGGAT! *Yeah, that's a play on "MAGA" and "maggot." Oh, and where's uncle johnny with de ban hammer? I think GSL 1598 is a racist POS. He's calling "KEN" who is a DOCTOR, dr. HO, as in to insinuate yellow racism into it. Johnnie? You only ban people who disagree wif you? Or is it okay to assault someone with RACIST chat? Put up your resume, MOUTH. What you "think" is of no concern to anyone on this site so why don't you quit trolling J.Boch and myself? Go back to DummyUnderground where you will fit in better, moron. "self-impotent?" "ment?" And you call me "mental-midget." Oh, and "dimwitted" is ONE WORD, not hyphenated, brain-dead moron! Oh, and, I don't watch tv, so I haven't the foggiest what you empty-headed lemmings are gleaning from hollyweird's death ray. It does explain why there are so few brain cells rattling around inside that fat skull of your'n, though! Bwahhahaha. It's amazing that such a GRAND subject as firearms and firearm things attracts so many brain-dead circle-jerkers! I swear, it's enough to make a man turn dumbocrat! Some of you clowns are too stupid to pick your noses while breathing still! Own guns? Heaven help us GOOD Americans! Buh bye for now, tv-addled loser. *that means I'm smarter than you and, if you don't grasp what I'm saying, you're just reading two or three levels BENEATH me. ** also still a REAGAN CONSERVATIVE, though you clearly don't grasp what that means, either! Your arrogance and assuming "self-importance" along with your hyper-sentsitive nature shows to all who read your manure filled rants that you are less than half-wit and proves your impotence with every word, even though you demand "recognition" as a doctor. I deposit your deserved "recognition" in the toilet at my morning "constitutional", hope you like it. Poor, pour, pore pittiful dr-ken-ho. Nobody cares what you write in your pitiful trolling screeds so PLEASE go back to Dumbo-CrapUnderground where all of your friends will want to read your bile. I have been a shooter for over 50 years and I am still learning. In fact, I study every day by reading books, watching on-line training and taking in-person training where I know I am weakest. This case is an object lesson for those who think training is worthless. Study this case and learn people. Over the years, I have changed my mind about a lot of things. John is giving the straight scoop about the way things ARE, not the way some may wish them to be. If you are involved in a shooting, the instructor will be called to testify as to your ability. The fact you educated yourself about the latest techniques and the law will help you in court. Most important, I use my training to avoid having to shoot anybody. I want everybody to go home safe tonight. Remember Guns Save Life means the potential bad guy goes home safe too!! If Love had had training he might have avoided this whole thing. Nice recap John, and good advice across the board. I have taught courses and published articles with all of these same concepts and wanted to add a couple of thoughts on the points you made-might help people think about them in a different way. Call the authorities- If it is unususal or odd call 'em up. They are available at no charge! Get on with 911 operator and stay on the line or keep the line open even if you just stick the phone in your pocket to keep your hands free. You are making a recorded call that will be a tremendous record for you if necessary. Combine this with loud verbal statements like "Get back" and "Stay away from me" and "Show me your hands" etc. Training- really people would argue this point? Any is better than none. Firearms and self-defense are too complex to be taken at face value. Armed with knowledge and a gun is better than armed with just a gun. Just because you own a piano doesn't mean you are a great piano player. Loaded chamber-this is traditionally an old military concept which does a disservice to you in a self defense situation. I have talked to a number of people on this topic who don't feel comfortable having a "loaded gun" i.e. one in the chamber, and think their gun is safer with only a magazine loaded and inserted. See "Training" listed above. If you are not comfortable with a fully loaded firearm get some training or apply yourself to have more familiarity with it. An empty chamber is a tactical deficiency with a pistol- the smallest and least efficient deadly weapon. Take every advantage to save your own life or the life of others. Warning Shots- They have so many detriments and very few positive aspects. First of all you just wasted a bullet which you might need later in life or the next few seconds. Second, the bad guys and witnesses will recount you started shooting first. Third, if it must go up, then it must come down. You are on the hook for that bullet, and there is a phrase every bullet has a lawyer attached to it. The warning shot in this instance actually wounded the bad guy-not what the citizen intended. Choice of ammo-the standard to be understood and repeated as necessary, is we shoot to stop the attacker. Period. Hollow point ammunition, as carried by all U.S. law enforcement agencies is designed to stop an attacker wtih the minimum force necessary in a deadly force situtation as well as minimize over penetration and ricochets. It is only used to stop someone who has placed you in fear of receiving serious bodily harm or death. Police Questions- If you are provided with your rights-use them! Many people fear the police may look at them with suspicion if they don't speek freely after an incident. Well the not so hidden news here, is if you have been in a gunfight they are already assuming you have done something wrong and will seek to gather that information from you. I was a federal agent for 30 years and at a crime scene law enforcement does not believe either side initially, gathers evidence and remains open to the fact other factors may be in play which are not self evident. This will most likely be the most harrowing and nervous situation you ever face in, first the threat on your life, then the theat of being arrested and charged. Speak clearly and positively if you are questioned by police and state you would like to cooperate fully, however, you would like to speak to an attorney first before proceeding in this serious matter. They cannot take your S. Ct guaranteed rights to silence or right to an attorney against you in a criminal proceeding. They won't like it, but they have to wait. This whole story is a HUGE learning opportunity, thanks John for the words of wisdom. I have a bit of a background in the area, being a retired federal agent, firearms instructor, author and former Illinois Assistant State's Attorney, and would like to point out John won't steer you wrong. How you react to the stories is up to you, and one size does not fit all, but take the good stuff which applies to you and don't agonize over grammar or spelling. I am concerned about having a loaded round in an autoloading pistol when I carry too. That is why I carry a Ruger EC9s. It has a long trigger pull and a manual safety. Mine is the economy model of Love's Ruger, but there is always one in the chamber and a fully loaded magazine in it. Those rounds are factory hollow points. I had thought this through for myself because of the training and study of self defense I have done.